High quality aluminium can for PAR 16 lamps, "Birdies" available in black or polished finish. These cans are supplied with GU10 lamp holder and use mains voltage lamps which eliminates the need for a transformer. 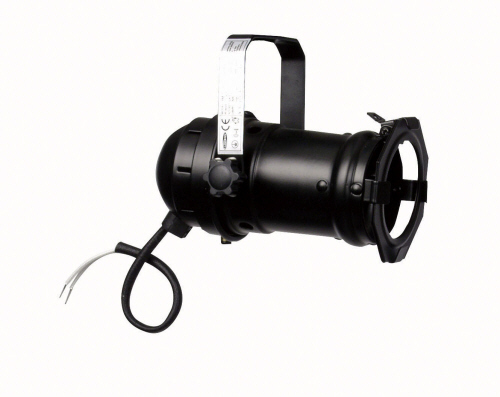 They can can be used for many applications, shop window displays, effect lighting in theatres or in clubs and pubs. Supplied with filter frame, Barn Doors are available for these cans.